Some of the world’s greatest environmental assets will be preserved thanks to a British led initiative. Some of the world’s greatest environmental assets will be preserved thanks to a British led initiative, Environment Minister Richard Benyon announced today. The latest round of the Darwin Initiative will see a total of £8.7 million committed over the next three years, including £5.5 million to fund 21 new conservation projects in developing countries across Latin America, Africa and Asia. These projects include working with the Royal Society for the Protection of Birds to improve habitats for birds in Sierra Leone, assisting the World Wildlife Fund in encouraging communities to conserve their forests in Kenya and providing funding to the University of Oxford to strengthen anti-poaching patrols in Cameroon. In addition a new ‘Darwin Plus’ fund will see around £2 million dedicated to supporting environmental projects in the UK Overseas Territories over the next two years. 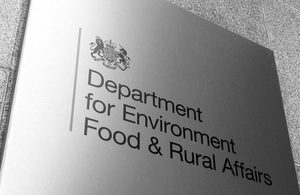 Funding for Darwin Plus will come from Defra, FCO and DFID and will go to projects such as eradicating invasive black rats from the British Indian Ocean Territory and developing marine and fisheries management for the Pitcairn Islands. I am proud of the UK’s continuing commitment to international conservation as some of these countries are home to many plants and animals that are not found anywhere else in the world. This Initiative has helped some of the world’s poorest communities protect some of the most important wildlife on the planet. Our Overseas Territories are home to a wide variety of important species so I am particularly pleased to announce the first raft of projects to be funded under Darwin Plus, which is focussed on the UK Overseas Territories. The Darwin Initiative is also funding three smaller schemes totalling £500k, eleven scoping projects totalling £28k and six Darwin Fellowships totalling £108k. The Darwin Initiative is one of the most effective ways of targeting effort towards tackling the threats to biodiversity – on which our planet’s life support systems ultimately depend. The latest round of projects shows us how we can work to protect nature: securing healthy, productive ecosystems that continue to provide ecosystem services and preventing a slide into poverty. People in some of the world’s poorest communities will benefit from the know-how and expertise of the organisations involved, demonstrating positive action for a better future. I am immensely proud to have had the privilege of Chairing the Darwin Initiative for a decade – it has gone from strength to strength, and is praised from village huts to parliament buildings throughout the world , and with the new union of Defra and Dfid funding the Initiative launches into a new era of even greater impact. It makes a huge contribution to wildlife, and indeed to Britain’s reputation as a force for good in the environment. The current batch of projects is at least as good as they have ever been, so we can look forward to major contributions to the well-being of both nature and people as these new projects take effect.